For a long time, in order to solve the A2/AD dilemma and achieve a new offset strategy, the U.S. has launched combat operations such as open space/air-sea warfare, cyber-centric warfare, distributed killing, multi-domain warfare, and mixed warfare. With new ideas, we constantly seek military advantages such as missile offensive and defense, cyber-electromagnetics, and multi-domain space. Today, the electromagnetic spectrum war has become the new darling of leading a new round of military theory and technological innovation. Researching and analyzing the status quo and characteristics of the development of the US military’s electromagnetic spectrum combat has important practical significance for our military’s success in defeating the enemy in the information battlefield. In 1956, Admiral Sergei Gorschkov, the former Soviet naval commander, pointed out: “Who controls the electromagnetic spectrum, who will win the next war.” Sixty years later, the electromagnetic spectrum has become one of the key battlefields of modern warfare. In order to compete for the advantages of the electromagnetic spectrum in the battlefield, the US military conducted in-depth explorations from combat theory to equipment technology and developed rapidly. Electromagnetic spectrum control has a long history. In the early 1970s, Thomas H, chairman of the US Senate Association. Moorer said that the winner of World War III will be a party that can highly control and manage the electromagnetic spectrum. The United States “Old Ravens” Association first proposed the use of electromagnetic control (EMC) as the fourth component of the concept of electronic warfare. In 2009, Strategic Command launched the early concept of electromagnetic spectrum warfare (EMSW), and added tasks such as electromagnetic spectrum management (EMSM), electromagnetic spectrum control (EMSC), and electromagnetic battle control (EMBC) on the basis of electronic warfare . 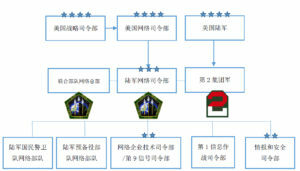 In 2012, the Strategic Command established the Joint Electromagnetic Spectrum Control Center (JEMSCC) to achieve full integration of electronic warfare and electromagnetic spectrum management, and each of the units also established corresponding organizational coordination agencies and detachments . 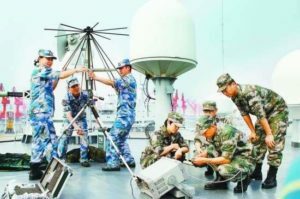 In the same year, the US Navy proposed the concept of Electromagnetic Maneuver Warfare (EMMW) , and in March 2015 released the “21st Century Maritime Force Cooperation Strategy,” which outlines the goals, components, technology projects, and implementation paths of the electromagnetic maneuver warfare . In December 2015, Terry Halvorsen, chief information officer of the US Department of Defense, pointed out that the electromagnetic spectrum is expected to be considered as the sixth battlefield following land, sea, air, space, and cyberspace ; in the same month, the Center for Strategic and Budgetary Assessments Defining Electromagnetic Waves: Regaining U.S. Dominance in the Electromagnetic Spectrum Field The report proposes the concept of “low-zero-power” electromagnetic spectrum warfare, expounding concept ideas, trend features, capabilities and technical requirements and current obstacles, and presenting views, concepts, Procurement, technical, verification, etc. At the end of November 2016, the 53rd International Conference of the “Old Ravens” Association of the United States took the theme “Global Vision of Electromagnetic Spectrum Operations” as the theme to demonstrate the new concepts and technical achievements of electronic warfare, spectrum sensing and conflict resolution, and explored the electromagnetic spectrum operational environment. Policy regulations, equipment procurement, joint training and combat capabilities, etc. . In January 2017, the new Secretary of Defense Ashton Carter signed the first “Electronic Warfare Strategy” document, officially establishing the electromagnetic spectrum as an independent operational domain and elaborating on how to conduct operations . Strategic policies and military doctrines reflect the development of the US military’s combat theory. From 2006 to 2014, the US Department of Defense updated the “Electromagnetic Spectrum Strategy” to focus on advancing strategic objectives such as development of spectrum equipment, flexibility of spectrum operations, spectrum management, and improvement of policy response capabilities ; Strategic Command released in August 2010. Winning the 21st Century Economic and Security Advantage: Strategic Framework for Electromagnetic Spectrum Control, building an electromagnetic spectrum control system architecture from multiple perspectives including objectives, requirements, strategic development, etc. 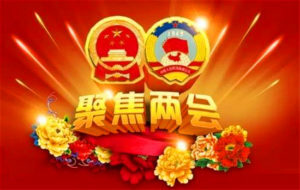 ; the Joint Venture Association has promulgated JP6-01 “Joint” in March 2012. “Electromagnetic Spectrum Management Action” joint publication , signed in December 2012 CJCSM3320.01C “Chairman’s Handbook of Joint Electromagnetic Spectrum Management Operations in Electromagnetic Operation Environment” , issued CJCSI3320.01D “Joint Electromagnetic Spectrum” in January 2013 Operational Instructions  and CJCSM 3320.04 “Electronic Warfare Supporting Combined Electromagnetic Spectrum Operations” Manual . In March 2015, the “Electromagnetic Spectrum Operational Joint Concept” document  was signed, which systematically stated that the Joint Forces launched electromagnetic spectrum combat operations. Strategic vision, organizational structure and functions, command and management relationships, plan formulation and operational implementation, operational integration and action synergy, and gradually Tactical, technical, and program (TTP) refinement of control, interference cancellation, spectrum management, and electronic warfare reprogramming, etc. ; US Army released TRADOC P525-7-16, “The US Army’s Future Modular Force Conceptual Capability in December 2007 Plan 2015-2024 – Electromagnetic Spectrum Operation Manual . Field regulations FM6-02.70 “Army Electromagnetic Spectrum Operations”  were issued in May 2010. Field Manual FM3-38 “Network Electromagnetic Actions” was issued in January 2014. Published in December 2015, ATP6-02. 70 “Electromagnetic Spectrum Management Combat Operations Skills” , updated in February 2016 AR525-15 “Network Reconfiguration of Electromagnetic Action Software” provisions , US Air Force updated 2017 AFI10-703 “electronic warfare integrated reprogramming” instructions  Define the concept of electromagnetic spectrum operations under the guidance of joint directives, and elaborate on issues such as organization and responsibilities, operational architecture, plan development and coordination control, task list and decision process, action team and management tools, and DOTMLPF, and promote electromagnetics. The integration of spectrum operations, electronic warfare, and cyberspace warfare. In addition, Kevin D, head of the United States Joint Force Development Department. In October 2016, Scott signed the JDN3-16 “Joint Electromagnetic Spectrum Operation” bulletin, standardized terminology and operational framework standards, and made a procedural description of the functional roles, organization, planning, operational implementation, and evaluation. It was awarded the Joint Spectrum Interference Cancellation Program CJCSM3320.02D signed in January and March 2013 by the Joint Committee, CJCSI3320.02F Joint Spectrum Interference Cancellation, and CJCSI3320.02E-1 Joint Spectrum Interference in February 2014. The three major regulations  to eliminate the confidentiality of the program were the important operational support and became the latest guidance for the US military’s electromagnetic spectrum warfare. Military technology leads and supports advanced operational concepts. To transform the concept of electromagnetic spectrum warfare from concept to capability, the U.S. military is striving to develop technological innovation and equipment development, and to develop new systems featuring networking, dexterity, multifunction, miniaturization, and adaptability. On the spectrum management and control system, the US Department of Defense has developed and deployed the Allied Nations Joint Spectrum Management Planning Tool (CJSMPT) and the Global Electromagnetic Spectrum Information System (GEMSIS) since 2005, followed by the Spectrum XXI and the Modified Spectrum XXIO, Spectrum. Perception Management and Planning System (SSC-SSMPS), Spectrum Situational Sensing System (S2AS), Maritime Electromagnetic Spectrum Operational Action Project (AESOP), Joint Automatic Communication Electronic Action Instruction System (JACS), Host Country Global Online Spectrum Database, etc., with real-time spectrum Measurement and online analysis, spectrum planning and deduction and frequency allocation, electromagnetic interference analysis and conflict elimination, electromagnetic warfare environment modeling simulation, electromagnetic situation sharing and frequency efficiency evaluation, spectrum resource access and database functions and capabilities. In combat equipment and technology projects , in 2011, the DARPA began to initiate behavioral learning adaptive electronic warfare (BLADE), adaptive radar confrontation (ARC), extreme radio frequency spectrum CommEx, Active Electronic Scan Array (AESA) technology, Near Zero-Power Radio Frequency and Sensor Operation (N-ZERO), under the conditions of the project, through the development of new technologies such as real-time evaluation of countermeasures, autonomous generation of measures, immediate feedback of effects, etc. Unknown waveform and behavioral electromagnetic spectrum threats Real-time tactical confrontation new capabilities; In 2010, the Air Force launched a Cognitive Jammer and HiPERDAC project based on Networked Software Defined Architecture (SDA) and passive RF PRIDE, SWEATER, and CHAMP (Eliminate High-Power Microwave Advanced Missiles) to develop active and passive target threat automatic recognition, real-time assessment and adaptive confrontation technologies and capabilities The US Navy conducts a maritime electronic warfare improvement (SEWIP-Block I/II/III) SLQ-32 shipboard electronic warfare system and ship signalling Equipment (SSEE), electromagnetic command and control (EMC2), integrated mast (InTop) shipborne antenna, next-generation jamming machine (NGJ) and other projects to improve real-time threat assessment and situational awareness, mission program modeling simulation, automatic distribution of electromagnetic spectrum , Combat Operations Analysis and other capabilities; the US Army launched the Electronic Warfare Planning and Management Tool (EWPMT) and Multi-Functional Electronic Warfare (MFEW), Defensive Electronic Assault (DEA) and Silencer Electronics scheduled for September 2016 Warfare and other systems enhance the electronic support for the perception of radio signals and the ability to send electronic signals that interfere with or deceive signals. Earlier this year, the Strategic Command Joint Electronic Warfare Center (JEWC) initiated research on new technologies that provide improved electromagnetic battle management capabilities for electromagnetic spectrum situational awareness and command and control, and plans to implement real-time strategy-based spectrum control and advanced electromagnetic battle sequences (EOB) within five years. ) Characterization and action plan modeling, simulation, analysis, and other capabilities and achieve 7-8 level of technology maturity . Driven by cognitive EW and artificial intelligence technologies, DARPA launched the Radio Frequency Machine Learning System (RFMLS) and Spectrum Joint Challenge Program on August 11, 2017 to develop automatic identification and characterization of target signals from a large number of complex spectrum signals. New technology . The electromagnetic spectrum warfare is the latest theory of information warfare of the US military in the 21st century. As research and understanding continue to deepen, the U.S. military will gradually place new strategic ideas as tactics and tactical measures. In order to unify the battlefield electromagnetic spectrum utilization and control actions, the U.S. military issued a series of directives, regulations, regulations, and other documents to publish a summary of the JDN3-16 “Joint Electromagnetic Spectrum Operation” regulations, and standardized the operational concept, mission category, organization, and combat planning and implementation. Evaluation and so on. Electromagnetic Spectrum Operations (EMSO) is the conceptual starting point for the US military’s electromagnetic spectrum warfare theory. It is based on electronic warfare and spectrum management and is based on joint electromagnetic spectrum operations. The goal is to achieve electromagnetic spectrum advantages in electromagnetic operating environment (EMOE), involving spectrum management operations, joint electromagnetic spectrum operations (JEMSO) and joint electromagnetic spectrum. Management actions and other concepts. According to the US military regulations JP1-02 “Defense Ministry Military Terms Glossary” , JP6-01 “Joint Electromagnetic Spectrum Management Action”, JDN3-16 “Joint Electromagnetic Spectrum Operations” and ATP6-02.70 “Electromagnetic Spectrum Management Combat Operations Skills” , United electromagnetic spectrum operations are coordinated military operations carried out by two or more units for use, attacks, protection and management of operational electromagnetic environment. The electromagnetic spectrum management action refers to the interaction between the spectrum management, frequency allocation, host country coordination, policy compliance, and conflict resolution in the entire phase of military operations to jointly promote the planning, management, and implementation of operations within the electromagnetic operations environment. The relationship between various concepts and categories is shown in Figure 1. The U.S. military believes that the joint electromagnetic spectrum combat mission domain is composed of four-dimensional missions of electromagnetic spectrum utilization, management, attack, and protection. Among them, missions include signal intelligence gathering, distribution, and electronic warfare support. Management tasks include electromagnetic spectrum management and electromagnetic battle management. Missions have electronic attacks and navigation warfare, protection tasks have electronic protection and joint spectrum interference cancellation. The operational concept aims to operationally integrate the electromagnetic spectrum operations of the joint forces in the electromagnetic operating environment, establish key priorities, organize action coordination, and eliminate conflicts. Through the full integration of electromagnetic maneuvering schemes, strength and action to strengthen coordination and unification, the electromagnetic spectrum of the battlefield is realized. control. It plays a key role in the formation of joint operational capability in all operational areas, and has a profound impact on the joint forces’ command and control, intelligence, firepower strikes, adjustment and mobility, protection, and maintenance of operational capabilities. The organization of the joint electromagnetic spectrum operations is responsible for the formulation and publication of policy directives and operational guidelines for commanders and commanders, and for combat planning, operational implementation, coordination of operations, and operational evaluation. The person in charge of electromagnetic spectrum control assigned by the Joint Force Commander shall assume the overall responsibility for the joint electromagnetic spectrum operations. The Joint Electromagnetic Spectrum Operations Unit (JEMSOC) is the chief staff of the Joint Force, and the person in charge of electromagnetic spectrum control assigns a supervisor to direct the command. Each service set up an electromagnetic spectrum operations division, each of which administers an electromagnetic spectrum operational unit, and assumes the functions of integrated network operations, electronic warfare, and spectrum management operations. They are the Army’s electronic warfare officer’s network of electromagnetic action units and the Navy’s maritime operations. The operational center electromagnetic spectrum operational unit, the Air Force air operations center electronic warfare coordination unit, the Marine Corps Combat Development and Integration Command’s cyberspace and electronic warfare coordination unit, and the Multinational Force Joint Staff Operations Department’s contracted electronic warfare coordination unit. The Joint Electromagnetic Spectrum Operational Organization of the Joint Force is shown in Figure 2. The joint electromagnetic spectrum combat unit architecture is shown in Figure 3. Joint electromagnetic spectrum combat planning is jointly completed by all levels of joint electromagnetic spectrum combat units. During task analysis, the combat plan development team develops a staff assessment plan to determine the electromagnetic spectrum support degree in the formulation and analysis of the action plan as a strategic basis for achieving the advantages of the electromagnetic spectrum; after the action plan is selected, joint electromagnetics are developed. The spectrum operations appendix describes mission tasks, priorities, policy strategies, process steps, and implementation procedures for the entire operational phase, establishing coordination measures, specific procedures, and engagement rules for the use of electromagnetic battle management and control systems in the joint operations domain; The Ministry submits its own electromagnetic spectrum operations plan and integrates it into this appendix. During the planning and implementation of the plan, the Joint Electromagnetic Spectrum Operations Unit strengthens the electromagnetic spectrum operations plans of each division and participates in the development of various divisions, establishment of priorities, establishment of operational integration and operational coordination, and the creation of an electromagnetic spectrum control plan. Then, the updated electromagnetic spectrum control plan is adjusted to start the joint electromagnetic spectrum combat implementation cycle to generate an electromagnetic spectrum control sequence that guides the use of the electromagnetic spectrum of the joint force. The combat planning process is shown in Figure 4. 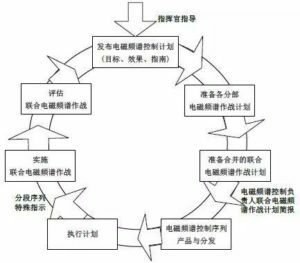 The joint electromagnetic spectrum operations implementation process is a continuous cycle of planning, implementation and evaluation. The united electromagnetic spectrum combat unit completes the formulation of the electromagnetic spectrum control plan and the electromagnetic spectrum control sequence, and establishes the combat cycle for combat operations. 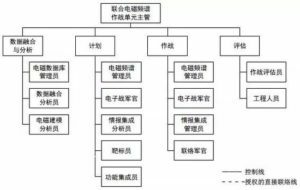 After the approval of the person in charge of electromagnetic spectrum control, it publishes and organizes the implementation to each branch’s combat unit and unit. The electromagnetic spectrum combat unit fully participates in the key combat flow of the joint force and adjusts the update plan and sequence in time according to the user needs of the subunits and the electromagnetic spectrum of the battlefield during the operation period to ensure that each electromagnetic spectrum control sequence is effectively generated and efficiently Released and executed. The basic processes are: Formulation and release of control plans, update of control plans for each division, preparation of operational plans, generation and distribution of control sequences, execution and adjustment of operational implementation plans and control sequences, and monitoring and guidance of operational processes. The operational implementation cycle is shown in Figure 5. New military capabilities cannot be separated from the new system. As an operational concept that responds to new military challenges in the era of information networks, big data, and artificial intelligence, electromagnetic spectrum warfare has become a new direction for the development of the combat effectiveness of the US military. In order to deepen understanding and be efficient and practical, the U.S. military has pushed the new concept to the battlefield from many dimensions, including the development of policy directives, organization and force adjustment, equipment systems and new technology research and development. Thought leads action. The U.S. military is good at innovative operational concepts and the concept of electromagnetic spectrum warfare is no exception. The first is to focus on clarifying the concept core and uniting the concept. During the early years of the development of the electromagnetic spectrum warfare, new concepts for the new combat domain were always being demonstrated. The military led high-level forums such as the “Old Ravens” and other professional military and military forums to analyze the related theories involved in the concept, exchange technology development and application methods, and promote deeper understanding. At the same time, in the strategic documents and top-level regulations, the relevant old and new policies were gradually sorted out. The links and distinctions between concepts, and the analysis of their categories and task areas, are increasingly contributing to the clear definition of concepts and the formation of theoretical systems. The second is to use operations on the battlefield, and refine the rules step by step. The U.S. military has always attached importance to the concept of combat to the implementation of warfare and technical measures. It took only about three years from the conception of the electromagnetic spectrum to the entry directives and from the joint directive to the arms and military operational manuals and the TTP. The US Army even established a concept blueprint for the use of battlefields before the Joint Staff. Joint operational and operational guidance for systemic operations at the level of the joint level to the unit level. The troops are the carrier of operations. The U.S. military attaches great importance to the optimization and integration of new concept combat forces and existing capabilities. The first is to focus on the overall planning of the capability system. The trajectory of the capabilities of the US military’s electromagnetic spectrum warfare and cyberspace operations is similar. From the Joint Staff Headquarters, the Joint Forces Command to the military arms, set up combat seats and corresponding implementation teams, and establish a full-flow operation mechanism for operational planning, accusation, implementation, and evaluation to form an efficient and smooth capability integration system. The second is to emphasize the coordination and integration of existing institutions and new forces. Through the clarification of the responsibilities and interrelationships of institutions and forces involved in new capabilities in a timely manner, action-oriented operational procedures and implementation procedures are formulated, and even the relevant regulatory templates for coordination activities are promoted to facilitate the whole-system action coordination of electromagnetic spectrum operations and other mission domains. Orderly. The third is relying on actual drills to verify their capabilities in a timely manner. Based on the new concepts of combat and capability goals, the practice of offensive and defensive battles in the field of electromagnetic spectrum is rapidly promoted, and corrections are made during operational trials. The U.S. Army formed an independent electromagnetic spectrum warfare unit of the 1st battlefield network warfare group from February to May last year and plans to participate in an exercise organized by a regional battle commander at the end of the year ; the U.S. Air Force is in the “battle shield” exercise. In response to the “Spectrum Interference Elimination Project”, radar EW system evaluation  was implemented. Strong army must have weapon. High-tech equipment is an important way to give birth to newcomer warfare capabilities. The first is to excavate new battlefield changes and assess new demands. The US Department of Defense’s “Electromagnetic Spectrum Strategy” in 2014 pointed out that it is necessary to quantify spectrum requirements and develop the equipment and technologies needed for the electromagnetic environment to enhance real-time spectrum operation and electromagnetic spectrum system real-time identification, prediction and interference cancellation capabilities . From the bottom up to the top, the U.S. military has established a demand collection and integration mechanism for the deployment and deployment of equipment systems and applications. It collects and sorts regularly and conducts special investigations and demonstrations with the aid of the government audit department, Rand Corporation, and a special panel of institutes. The analysis results can be Directly providing decision support for the Ministry of Defense and the Joint Staff Association, it forms an unobstructed demand management evaluation system, and injects activators for the development of electromagnetic spectrum warfare equipment and the development of new combat capabilities. The second is to pay attention to the integration of pre-research technology to equipment system applications. The U.S. military equipment system development will be based on national defense information architecture standards. It will have system processes and capabilities such as simulation modeling, pre-research, technology integration, and application verification. It will focus on the simultaneous improvement of existing models and the development of new research and development of smart technology and equipment systems. “Determining Electromagnetic Waves” pointed out that the important features of the electromagnetic spectrum warfare in the new phase are passive sensor applications and the use of “low-zero-power” capabilities to counteract the enemy’s anti-electromagnetic confrontation, and intelligent technologies and equipment are the future dominant . The pre-research and integration of electromagnetic spectrum warfare technology and equipment will also be able to achieve a more optimal way to upgrade military capabilities to technological capabilities, integrate cutting-edge technologies with mature methods, and integrate specialized systems into integrated platforms, thus achieving a seamless leap in combat effectiveness. Who is responsible for configuring the information resources owned by the United States? Who is responsible for assigning these resources to use the priority order? What measures have we taken to ensure that the Global Information Grid (GIG), the Independent Joint Service System, and the GCCs: Geographic Combatant Commanders (GCCs) and Global Network Associations (GCCs), which rely on information from them, Trojans (JTF-GNO: Joint Task Force-Global NetOps) security? 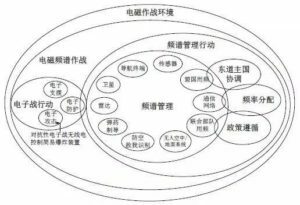 In recent years, the entire network combat system on the discussion of these issues has not been suspended, the focus of debate is the theater operations in the network operations should play what role. The US military has announced the deployment of the war command for each theater, and also announced that it would reduce military support in the cross-border areas. For each theater combat command, how to configure the information infrastructure to support the war in the theater has become very important. The enemy may be infiltrated into the critical network system area responsible for military power dispatch, which is often underestimated and even treated as an accident or incidental event, but these intrusion is virtually Made a connection request to block the normal operation of the commercial website, and even led to some of the military logistics business logistics company was marked as invalid. The theater warfare command should ensure that the information conditions of its zone are not affected by external invasions. Countless viruses are destroying the Internet, the Department of Defense system began to be attacked. It is now under discussion whether the Global Network Joint Task Force should be disconnected from the military network on the Internet, but the military is concerned that with the cooperation of commercial suppliers alone, the Department of Defense can not guarantee that all logistical support operations will continue without error To go on. Each theater combat command is not sure about the state of the theater itself, and they are skeptical about the security of the global information grid itself, and they are concerned about their ability to carry out the tasks assigned to it. (STRATCOM) and the global network of joint contingents in the network operations in the dominant ideology of the impact of the theater operations headquarters of its command and control of the zone has a more global network of operations control institutions to strengthen the United States Strategic Command Weakened. The focus on the operational information grid to the global information grid has also affected, to a certain extent, the battlefield operations command of the global information grid is how to support the theater of the specific behavior of the understanding. 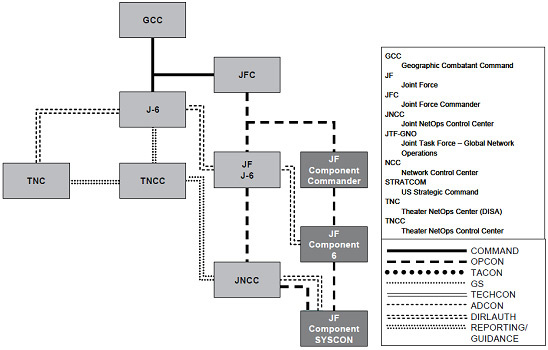 This article will introduce the existing command relationship, the war between the theater operations command, the direct relationship between command and combat, the old and emerging joint operational principles of a special case analysis, and finally will be the theater combat command In the network operations should play the role of the proposed recommendations. The command and control in cyber warfare is a concept that appeared ten years ago, and its connotation has been evolving. Each of the relevant departments, the theater operations headquarters and the global network of joint contingents have carried out some organizational structure and work focus on the adjustment, but ultimately did not solve their respective roles should play this issue. To really understand why the role of theater warfare in cyber operations will be a problem, it is necessary to clarify the question: where is cyber warfare, what is real cyber warfare, and every What is the organizational structure and command and control structure of the department? The first thing to explain is, what is the global information grid? According to the definition of Ministry of Defense No. 8100.1, it includes “global interconnection, terminal-to-terminal information transmission capability and joint processing capability.” Ability to collect, process, store, transmit and manage information according to the needs of warriors and policy makers ” This covers government and leased communications information systems and services, as well as other software, security and service support required for global information grids, as well as the Clinger- The National Security System, as defined in Section 5142 of the Cohen Act. According to this definition, the global information grid contains all levels of information systems from the Department of Defense and the national security system, from the tactical level to the strategic level, as well as the interconnected communication system. Most of the discussion on the command and control of the Global Information Grid Network Operations Center focuses on the defense capabilities of the system, but the content of the network operations is far more than that. The tasks to be accomplished by the network operations include three: departmental management, Content management and network defense, whose purpose is to provide a lack of central support across the boundaries of strategic, tactical and operational concepts, and to support the Department of Defense’s full range of combat, intelligence and mission tasks. 1. Sector management is one of the specific tasks of the global information grid, which is the technology, process and policy management of systems and networks that make up the global information grid, including public sector management, systems management, network management, satellite communications management and Electromagnetic spectrum management of these aspects. 2. Content management refers to managing the information itself in the global information grid. It ensures that information is available to users, operators, and decision makers in real time. Content management includes the search, access, transmission, storage and integration of specific information content of the global information grid. 3. Network defense is the global information grid all the information, including additional information to protect, it mainly includes a number of policies, processes, projects and operations. If necessary, the task can be requested through cross-agency cooperation to complete. It is responsible for the global information grid information security, computer network defense, computer defense response capabilities and critical infrastructure protection. Now we have learned about the basic organizational structure of the cyber warfare, the next step in the various organizations in the network operations and how they are performing the tasks, which are mainly composed of troops, theater warfare headquarters and global network joint contingents, all of which are With the changes in the battlefield requirements to improve their organizational structure. The change in the organizational structure of the force is mainly to meet the requirements of the global information grid for information transmission, access, control and protection. Ten years ago, the troops had some changes to regional control in order to adapt to cyber warfare, but those measures eventually developed into centralized controls, and these measures were not preserved. 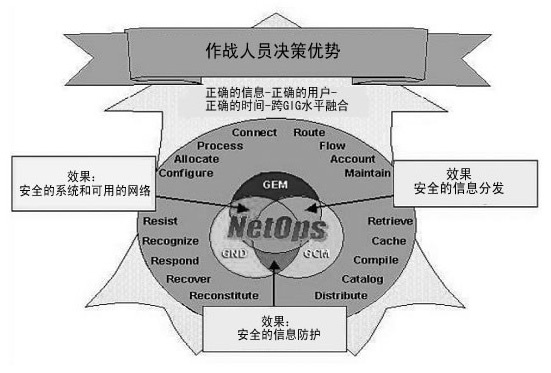 Now it is necessary to understand the composition of the forces in order to better understand why the network operations command and control will become so full of controversy. The army is the least of all the reforms in the service. The Army continues to hold the previous commander, now known as the Theater Network Operations and Security Centers (TNOSC), which is directly responsible for the various theater war operations. The Army maintains an independent global network operations and security center (GNOSC: Global NetOps and Security Center), all of the battlefield network operations and security centers are its affiliates. The Global Network Operations and Security Center has technical control over the Battlefield Network Operations and Security Center, but the Battlefield Operations and Security Center is also part of the Theater Command and is also managed by the Theater Network Command. A typical example is the Army’s battlefield signal The brigade is managed by the Army Service Component Command. The Global Network Operations and Security Center provides technical guidance to the network operations forces in each theater. The US Army Network Command and the 9th Signal Command are responsible for the technical and management of the Global Network Operations and Security Center. But in wartime, the Global Network Operations and Security Center was also commanded by the Strategic Command (STRATCOM) as Army Element. The Air Force has chosen a different organizational approach to move the focus from the former headquarters of the Network Operations and Security Center (MAJCOM NOSCs) to the Integrated Network Operations and Security Centers (I-NOSCs: Integrated NetOps and Security Centers). Unlike the Army’s Battlefield Network Operations and Security Center, which is managed by the Theater Operations Command, the Air Force’s Integrated Network Operations and Security Center is not affiliated with any theater war command, but only by the Air Force Operations Center (AFNOC : Air Force NetOps Center), which is similar to the Army’s Global Network Operations and Security Center. The Air Force realizes that the Theater Command must have the power to direct direct operations in its zone, and it is necessary to establish a general support relationship between the Air Force Operations Center and the Theater Operations Command, establishing a dedicated link between the two departments unit. In addition, the Air Force has given a command to the establishment of a communications control center in their respective theater areas. These control centers can be used as a shortcut between the Air Force Operations Center and their respective theater operations. The Navy and the Air Force, no longer regard the theater as a unit of command. In order to better support global operations, they assisted two existing theater naval warfare centers (RNOSCs) affiliated with the Naval Global Network Operations and Security Center (NAVGNOSC) to assist the original two naval schools in Naples and Bahrain Communication master station (NCTMS: Navy Computer and Telecommunications Master Station). In addition, since most of the Navy’s cyber operations were carried out at sea, they also established Fleet NetOps Centers (FNOCs: Fleet NetOps Centers), echoing the theater and cyber warfare centers located in the United States. The fleet network operations center is the tactical entry point for the fleet to conduct cyber operations, providing network services for audio, video and data for the fleet of the zone, and can be provided when the fleet goes from another area of ​​the fleet network operations center into another area Smooth information transitions. Most unclassified networks are contracted by the US Navy Marine Corps Internet or the US Overseas Overseas Navy Enterprise Network (ONENET: Outside of CONUS Navy Enterprise Network). In order to meet the needs of the battlefield, the Navy established the Overseas Marine Corps Intranet Global Network Operations and Security Center to provide global combat support, as well as the establishment of a war zone network combat and security center of the theater network security center on each Specific battlefield support. There is no subordinate relationship between the Theater Network Operations and Security Center and the theater operations headquarters in the theater. Navy Global Network Operations and Security Center (NAVGNOSC) and the East and West Regional Network Operations and Security Center (East and West RNOSCs), which support the most basic organization of global naval operations. The Naval Global Network Operations and Security Center brings together information from the Theater Network Operations and Security Center, the Overseas Marine Corps Intranet and the Naval Satellite Operations Center to provide global command and control information for the Global Network Operations Joint Task Force. Unlike the Navy and the Army, they did not maintain a body belonging to the Theater Command. The support relationship between the forces established by the Joint Operations Task Force of the Global Network Operations and the Theater Warfare Command did not give the theater war command the power to command the Naval Department’s global information grid. All command requests of the Theater Warfare Command must be approved by the Navy’s Global Network Operations and Security Center. Although each theater combat command in their respective jurisdictions for network operations are not the same way, but they have a common feature, that is, have established a theater network operations control center and a subordinate to the defense information system (DISA: Defense Information Systems Agency) of the theater network operations center. (CENTCOM) will be the theater network operations control center and the Defense Information Systems Agency’s theater network operations center known as the Central Theater Network Operations Center (Central Region Theater NetOps), the Central Commander of the Central Theater, Center, and the European Command (EUCOM) has established a Theater Communication Control Center (Theater Communication Control Center). Although there are some differences in the organization, but all the theater network operations control center are basically used by the theater combat command for the area of ​​the global information grid command control (area of ​​the global information grid is also known as the theater Information Grid TIG: Theater Information Grid). The Theater Operations Command has optimized the configuration and control of the information resources of the global information grid through the Theater Network Operations Control Center to enable them to better serve the battle, while the Theater Network Operations Control Center is also connected to the Defense Information Systems Authority, the regular forces and the global Joint Operations of the Network Operations Joint Task Force. They collaborated with the Theater Network Warfare Center, the Theater Network Operations and Security Center to monitor the status of the theater information grid, to decide on the proposed global operations of the Joint Operations Task Force, and to assess the impact of its actions. The Theater Network Warfare Control Center has the right to decide on the reduction and termination of combat operations and to adjust the priority of operations through the Theater Network Operations Center and the Theater Network Operations and Security Center. If there is no theater network operations and security center in the theater, the theater network operations control center under the Global Network Operations and Security Center tie is responsible for completing the mission required by the Theater Operations Command. The North North Command (NORTHCOM) is a rather special sector, although it is a theater warfare command with a clear zone, but most of its troops in the zone – including cyber combat troops – are not affiliated with the commander , But belong to the United States Joint Forces Command (JFCOM: Join Forces Command). This deployment is intended to facilitate the global management of the force. 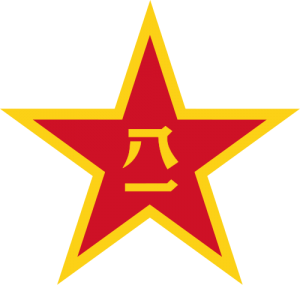 The North Command, like several other theater warfare commanders, also set up a theater network operations control center, but did not establish a theater network operations and security center, which makes the North Command must rely on network operations and security centers and other departments for its Provide general support. In this case, the role of the North Command is to be responsible for the operations within its jurisdiction, but also the lack of understanding of the corresponding battlefield information grid, and no direct control of its power. With the troops fighting command on the network combat structure to adjust the same, the Ministry of Defense departments are also undergoing reform. Over the years, the Department of Defense has not had a centralized control of the network operations. But in 1997 when the Department of Defense conducted this attempt to find some of the weaknesses of the network at that time, also came to the “combat command – troops – defense agencies,” this network mode of operation is not suitable for modern battlefield situation The That attempt has led to the formation of a Defense Force (IAA) bureau, which is part of today’s Global Network Operations Joint Task Force, which is responsible for the operation and defense of global information grids. Global Network Operations Joint Task Force network operations command and control mechanism is also constantly evolving. 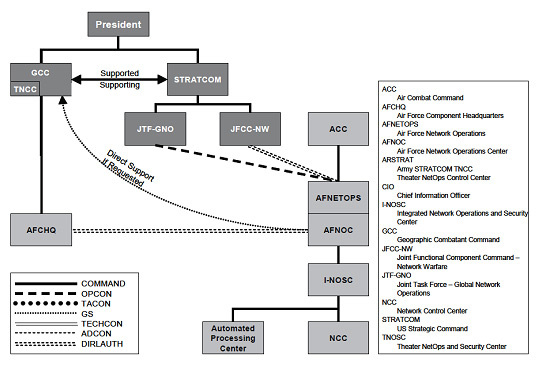 Prior to the advent of the existing UCP: Unified Command Plan, the command and control of the Global Network Operations Joint Task Force was under the responsibility of the Theater Operations Command, but it proved that it was not conducive to managing all the components in the network, It is also difficult to provide enough information for the global information grid information. The original version of the operational concept of cyber warfare emphasizes the control of the theater operations of the theater in the theater, which was described as follows: “The combat command has the power to command the troops assigned to its zone, Is conducive to the completion of the task, when the combat command feel appropriate, or even adjust the priority of the global information grid.All of these activities should be through the theater network operations center to achieve. “In fact, even the global Event, the initial version of the network combat concept document also provides that the global network operations Joint Task Force needs to be in the theater combat command of the theater network operations control center under the command of combat. The follow-up version of the operational concept has been adapted to this principle. The control of the Global Network Operations Joint Task Force was moved to a more global command and control structure, through which the overall role of the strategic headquarters, the Global Network Operations Joint Task Force and other forces involved in the network operations Has been strengthened. The operational concept of the Global Network Operations Joint Task Force is subdivided into three environmental operational concepts: global, theater and non-global. What kind of environmental concepts apply to different events depends on the actual impact of the events and the impact of the theater. 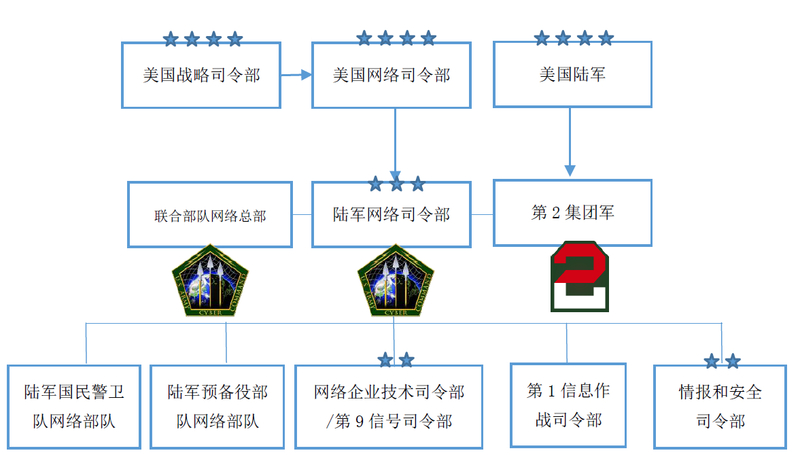 This form of command and control structure is more suitable for the current network combat diversity characteristics, for different levels of events, theater combat command can take a more flexible response measures, and even at the same time to support and supportive action. In this system, sometimes the process of dealing with the event to go through a complete command system chain, and sometimes you can skip some steps. Global events refer to activities or events that clearly affect the preparedness of the entire global information grid, which often requires the concordation of multiple theater combatants to be resolved. Commander of the Strategic Command must have the ability to quickly identify global events and to be able to determine which theater combat operations or other agencies of the Department of Defense will be affected. Global events include fast-spreading network malicious code attacks, satellite communications attacks, and enterprise application attacks that are not limited to single-theater network events. The Global Strategic Command is a reliable command center with command and command for the Global Network Operations Joint Task Force and the Theater Command. The Global Network Operations Joint Task Force uses its own resources to execute the instructions of the Strategic Command, which can be quickly sent to troops around the world. It is noteworthy that this order is not in the event of transmission to the theater of combat operations. Although the notion of operational concept conferred the command of the commander of the strategic command worldwide, it did not completely deny the right of the theater war command to be commanded by the assigned joint command. While the Global Network Operations Joint Task Force performs the operational command of the Strategic Command, the Theater Operations Command can also deploy its troops to carry out the corresponding activities. Of course, in accordance with the requirements of the operational concept, the forces under the leadership of the theater operations command must be consistent with the action guidelines of the Joint Operations Task Force under the leadership of the Strategic Command. In fact, according to the historical action log of the Joint Operations Task Force of the Global Network Operations, most of the cyber operations began at the beginning of a small theater, and the Theater Command was always the first unit to deal with these incidents, and If they are handled properly, these theater-level events will not develop into global events. Theater events are those that occur in a battlefield area, and its foreseeable range of influence does not go beyond the theater, and the biggest difference between theater and global events is that. In the event of such incidents, the theater operations headquarters played a leading role, while the strategic headquarters only take the support role. The Global Network Operations Joint Task Force can provide support to the Theater Command by its Theater Network Operations and Security Center. If the local forces do not have a theater network operations and security center, it can also provide general support for the Theater Network Operations Control Center through the Global Network Operations and Security Center. The Command of the Theater Combat Command to the Global Network Operations Joint Task Force is subordinate to the subordinate command, that is to say there is no right to direct the Global Network Operations Joint Task Force through its Global Network Operations and Security Center to operate in its area. A non-global event is an event that only affects the functional warfare headquarters and a particular defense agency. Since such institutions do not have a clear zone, these events can neither be regarded as global nor can they be seen as theater. In dealing with non-global events, the Strategic Command plays the role of auxiliary command, and the Global Network Operations Joint Task Force provides general support for the operational operational warfare headquarters involved. Most of the non-global events generally occur in the northern command zone, since many of the relevant functional departments are subordinate to the Northern Command. In the case of command and control procedures, non-global events and global events are the same. Although the positioning of the various forces are not the same, but in the pursuit of efficient network operations, reasonable combat methods are their common theme. 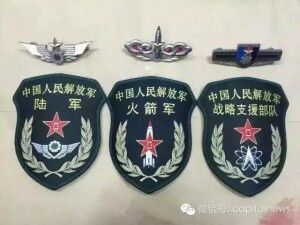 Different forces shoulder different responsibilities, they established an independent combat network, application facilities and auxiliary tools to meet their own and global information grid to maintain connectivity needs. Each unit is responsible for operating part of the global information grid, which to some extent the need for combat operations between the various departments of the centralized management, so as to get the desired combat efficiency and return on investment. In order to make better use of scarce resources, the Department of Defense must consider when and where to allocate resources from a global perspective. The allocation of essential resources for network operations such as satellite transmission bands, standard tactical entry network sites and bandwidth must have clear mission objectives and easy to understand global significance. From the perspective of the force, the centralized command is, to some extent, a reshuffle of the existing force institutions and operations, defense networks. The combat operations led by the theater war command will no longer be strictly limited to its zone. Ground forces are re-starting to use aircraft (including unmanned aerial vehicles) to routinely fly in the United States to support their operations. With the development of the PGS: Prompt Global Strike project, the commander has the power to call for conventional strike assistance from weapons systems outside the theater. On the Navy, they pointed out that one of the essential characteristics of the maritime forces was global mobility, and the naval forces were constantly interspersed between the various theater warheads. Especially as aircraft carrier battle group such units, once deployed, it can not stay in a small battlefield. In addition, even the theater-level operations taken by the theater war command may have a global impact. 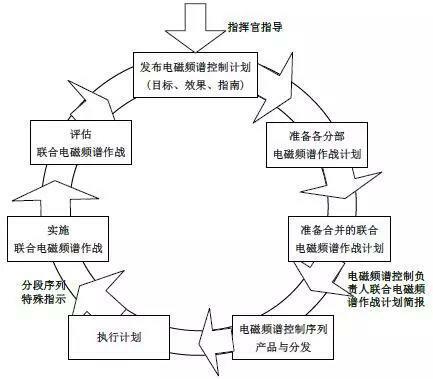 The adjustment of the network defensive posture may have a huge financial burden on the Internet sector, and the combat command may not be able to understand the specific details of the adjustment behavior. For the Department of Defense’s network system, all attacks are essentially global in nature. The enemy can not easily from the other side of the Earth to the United States to attack the physical objectives, but in the field of computer network technology, such things happen often. Once such an attack is detected, the information about it must be communicated to all relevant departments in the shortest possible time to ensure that such attacks are identified from anywhere to protect the security of the global information grid. Every time a network intrusion – even if it does not seem to fail the invasion – is likely to give the global information grid content a huge potential harm, because they invade the system behind the back door will be in the future Attack to play a role. The outbreak of the virus is an undisputed global event, and if we do not realize this, we will suffer more losses. The Navy emphasizes that the impact of no events will be limited to a theater area, and that all efforts to combat cyber operations must be global. Their defense is that there is no theater boundaries, the Department of Defense every battlefield combat headquarters are facing the same potential threat, in order to obtain information on the advantages of the Department of Defense must make full use of its large coverage of the network resources , Quickly share all useful information on a global basis. In addition, the Air Force and the Navy have pointed out that their cyber warfare forces are not deployed by the Theater Warfare Command. The Air Force and the Navy have their own cyber warfare organizations (such as the Theater Network Operations and Security Center) in each zone of the Theater Command, and the Air Force and Navy’s cyber warfare forces are usually defender in the theater. Finally, the Air Force and the Navy believe that the Strategic Command is responsible for the Global Information Grid through the Theater Operations Command, based on the description of the official documents available for reference. There are two issues that need to be concerned about the command and control of cyber warfare against the Theater Command. One is the need for timely control of the battlefield information grid, the second is the need to turn the network into a weapon system, so that commanders can be the same as the conventional weapon system to use the same network resources, the use of the full range of network advantages to conduct a comprehensive battle. Those forces that have been assigned specific responsibilities have already deployed their own unique solutions, each of which is involved in a network operation or each institution believes that it already has the most effective allocation of scarce resources. But the global information grid is not exclusive to a particular department, but a joint structure. “Chimney” type system and the existing deployment of the troops is actually to reduce the efficiency of the battlefield information grid efficiency. For example, the Army developed a secure IP telephony solution before other departments in the Department of Defense to communicate with the secret voice. For security reasons, other departments usually do not use this program, but their own development of a set of the same function of the solution. So there will be two sets of independent, confidential IP voice schemes in the zone of the Combat Command, which can not be connected to each other. The theater warfare command had to be screened, leaving only a set of programs to ensure that all departments in their zones could cooperate with each other. But the solution is eliminated by the party can no longer with the theater outside the brother forces for confidential contact. Some of the resources in the combat command zone can serve multiple forces and the public sector. However, there are many examples of the use of duplication of work for the establishment of their own can not be linked to each other independent systems, such as satellite terminals and some technical control equipment. Sometimes, to send a message, you need to send the signal back to the United States, and then sent from the local distance from the initial sender only two miles of the recipient there. 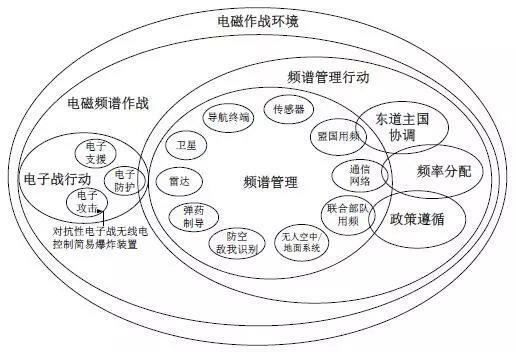 All kinds of fibers are arranged one by one on the same route, but the data between them can not be exchanged directly because they belong to different forces or public departments. The theater operations command must take measures to address the interconnection between the troops or the civil service in the zone. To solve this problem, you can use centralized control approach. The centralized command of the cyber warfare forces requires the theater war command to make some adjustments to its own organization, but at the same time it does not affect its power to direct action when there is a need for combat. Relevant forces must accept orders for multiple combat orders and effectively optimize and feedback battlefield information. At present, the troops sent to the front are becoming more and more independent, and through the help of the global information grid they can cross the border of the theater combat command back and forth, and the theater warfare command has been compromised by the support and confrontation of the cyber warfare , After the implementation of centralized command, the troops can not or do not want to respond to the requirements of the theater combat command. The Pacific Command (PACOM: Pacific Command) first adopted a “joint attempt” approach in humanitarian aid operations when it participated in the Indonesian tsunami relief work in 2004. The Pacific Command issued instructions to the assigned troops to carry out special network defenses under the framework of the entire action plan. Many naval forces and Marine Corps units have established relatively direct network defenses under the centralized command of the Navy’s Global Network Operations Center, which goes beyond the mandate of the Pacific Command to the Navy and Marine Corps, which Posing a potential risk factor for the global operations of the Pacific Command. The Combat Command is concerned that the idea of ​​centralizing control of global information grids will always reduce their grip on information and control of the global information grid. Under the existing command system, a unit will carry out training or perform other tasks under the command of its troops, and participate in the battle under the command of the theater combat command, and the rules of command and control are very clear. The command and control of the forces in the field of information is as important as their command and control in the air, land, sea and space fields. For the C3S system (control, communications and computer systems), under its command to combat and responsible for the protection of its forces are often in a double or even triple the report chain, the results can not tell who is responsible for the final battle. In a global or non-global event, the Global Network Operations Joint Task Force often conducts direct operations around the theater operations headquarters. Although the operational concept of joint cyber warfare specifically emphasizes the need for coordinated operations with the theater combat command, this requirement has become almost in the context of modern combat rapid changes. Information Security Weakness Alert System, Computer Task Sequence, and Information Condition Adjustment System Problems outside the jurisdiction of the Combat Command are typical examples of this requirement failure. These events directly affect the command of the Theater Command in the battlefield, when the troops want to directly use these mechanisms from the management level to strengthen their own control, they can not determine when and how in the implementation of these Operation, and do not know what impact this will have on the command of the theater combat command, because under current conditions, only the theater combat command has the ability to carry out these operations. When a threat event requires the Air Force’s Space Command to seek the cooperation of the Joint Operations Task Force of the Global Network Operations with Air Force forces, it would bring to the command of the North Command if it did not notify or obtain cooperation with the Northern Command Big trouble. In the Central Command, due to the lack of adequate control of the network combat forces, resulting in the commander sometimes can not determine whether the network resources are available. The Navy is responsible for operating a large number of battlefield information grids. Navy network combat forces in the operational area are not responsible for the Central Command of the Navy, who only need to report to the Theater Network Operations and Security Center. The central theater’s central theater theater operations center, whose duty is to maintain and direct all the combat operations of the theater operations, but it is not in the naval network combat force report chain, so it is often impossible to get all the battlefield information grid Of the state of affairs, there are already alternatives to deal with this problem, but this can not be said to be a formal solution. For the North Command, because of the lack of cyber warfare control, they encountered great trouble in the rescue work of Hurricane Katrina in 2005. In that operation, the troops’ equipment was transported to the joint warfare zone without permission. Which makes the North Command can not grasp and guide the transfer of materials, but can not coordinate the actions of various forces, which is a multi-directional management and operational issues. 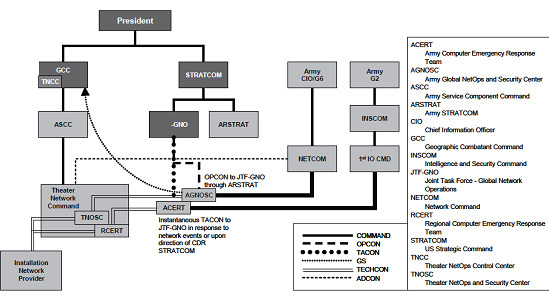 As the various forces advocate the implementation of a centralized command framework centered on the Global Network Operations Joint Task Force, it is necessary to emphasize the fact that the theater commanders are reluctant to see such changes, Some of them are responsible for the strategic headquarters, with the global information grid operating rights and defense rights mechanism. The presence of the Strategic Command has been instrumental in maintaining the command of the theater combat command in combat operations in theater and global events and in enhancing communication between the theater combat command and the Joint Staff. Who is responsible for the first leadership? 2. Network operations to focus on what the specific direction of the command to be reflected, the global level, the theater level or what other level? 3. What is the change brought about by this adjustment only when a part of the theater combat command sends a request to the Global Network Operations Joint Task Force or is the theater commander’s complete command and priority in the theater? Finally, the Theater Command is the body that is ultimately responsible for the President’s mission to complete the military mission in the area, and the troops dispatched to the theater combat command need to complete their respective tasks under their jurisdiction. It is unquestionable that they will still be under the command of the strategic command when the troops advocate the implementation of a global centralized command. But the current global information grid is a key part of the command and control capability of the theater combat command and the commander’s ability to guide the troops. Without a global information grid, the plane can not fly, the ground forces can not move, the ships can not sail, even the satellite can not provide the signal. Commanders need to get the status of the global information grid and control, just as they need to master the position and status of the troops as important. They must grasp the scope, ability and status of the battlefield information grid, and must know how the situation outside the theater will affect the battlefield information grid in the area where the troops are located and must be able to command and optimize the troops to support operations. If we really believe that the speculation of the centralized command will have a better effect, it can not be ignored for the theater war command to retain the appropriate command and control. Also, as long as the structure of the Theater Command is still preserved, all military missions, including those directed by the Functional Command Command, will inevitably occur in the theater of the Theater Command, as all networks Combat missions must be carried out by an entity unit. At the same time, centralized command is necessary to achieve a network-centric command model and to more effectively defend against attacks. The concept of this centralized command and the command of the theater war command to master and optimize the battlefield information grid is not mutually exclusive. 1. Create a simple, clear network combat command chain, to ensure that the strategic headquarters of all network operations can be directed. This can solve the problem just mentioned “who is responsible for the first leadership”. Only when the event occurred in a rapidly changing environment, the theater command and control agencies began to play a role. Simple command chain can ensure that troops involved in network operations know who should listen to who should report to whom, in this command chain, must include the theater combat command. – to amend the Joint Command plan to clarify the responsibilities of the Theater Operations Command to operate the network in its zone. – Revise the existing global information grid network operational concept, detailing that those outside the theater network operations and security centers can obtain direct assistance from the World Network Operations and Security Center of the Theater Operations Command. – All orders for the Global Network Operations Joint Task Force shall be enforced through the Theater Operations Command. These adjustments ensure that all units in the theater are acting under a single command chain, which is responsible for the strategic headquarters through the Theater Operations Command. This can also solve the North Command should be responsible for the area but did not command the power of the network fighting the embarrassing situation. 3. In each theater combat command, a joint network operations center under the jurisdiction of the Central Command shall be established to integrate the Theater Network Operations Control Center of the Theater Command Command and the Theater Network Operations Center of the Global Network Operations Joint Task Force. As a result, each theater war command will have a joint operations command in the field of computer space, just as in the battlefield of land, sea and air. Any troops outside the Theater Network Operations and Security Center can obtain direct assistance from the Global Network Operations and Security Center of the Joint Network Operations Center. 4. To consolidate the status of the global information grid, the highest control to the strategic headquarters. The development of centralized command is now focused on the command of the forces involved in the network operations, which runs counter to the network-centric command concept. The force-centric “chimney” command system is not conducive to the transmission and processing of information, let us from the “all users to provide the latest and most accurate information” goal farther and farther. In the previous “Goldwater Nichols Defense Ministry Reconstruction Law” report has made it clear that the organization and management and command and control should be controlled by a joint agency. The current centralized command of network operations is an urgent need. Optimizing the network operational command mechanism can help the Department of Defense to improve efficiency, save costs and better allocate scarce resources. More importantly, this allows network combat troops to provide information more quickly and accurately to commanders, which is important in large-scale network operations. The process of centralized command can not affect the efficiency of network combat command and control. This depends on whether the global information grid can provide enough information for all participating units and whether the commander makes full use of the theater information grid to help command operations. “We have to change the network combat problem discussion and thinking mode, we are in the network” combat “rather than the network” management “, all participating units must ensure that they are ready to war every time to ensure that the network system A decisive weapon system. ” Network operations are a key part of our country’s ability to win war, it can help us provide command and control, shorten the decision-making cycle and adjust the resources of the theater. The Strategic Command has taken a big step in strengthening the concept of cyber warfare, and these efforts need to be continued. The theater warfare command must be an important part of the control and protection of the global information grid to ensure that we can continue to win the network. With the rapid development of the global information grid system of the US military, the conceptual research based on the information technology system is becoming more and more thorough. Finally, the American combat theory establishes the cyberspace as a combat domain with land, sea, air and sky. In this context, the US Army will be the construction of cyberspace as a key factor in promoting the process of modernization of the army, determined to follow the formal militarization of the organization’s standards and structure of high-quality network combat forces. Since the establishment of the Army Network Command in 2010, the US Army has established a comprehensive network of operational forces based on the goal of combating the military forces of cyberspace through new means such as new construction, adjustment, transformation and integration. From the 90s of the 20th century, in order to ensure the US military information grid system in the army part of the efficient and safe operation, the US Army under the guidance of the joint army, around the concept of network operations carried out a series of organizational restructuring, the dissolution of the information system commander And has set up the Army Signal Command and the network enterprise technology command and other institutions, and gradually formed based on technology, defense, focusing on the basic network of emergency operations organizational structure. In 2005, the US Strategic Command issued the “Global Information Grid Collaborative Combat Concept”, which elaborated on the organizational structure of the US Army’s cyberspace forces during this period, dividing the Army’s network operations system into three Level: At the first level, under the command of the Army Space and Missile Defense Command / Army Strategic Command, the Army’s Global Network Operations and Security Center is responsible for situational awareness and command coordination as the only governing body for Army operations, In the US Army Joint Force Network Power System, the agency functions as a global network of operations and security centers. At the second level, the Theater Network Operations and Security Center is the supporting element of the operational headquarters, which is responsible for “guiding network operations, managing and defending the global information grid elements that are part of the Army’s jurisdiction.” The regional network operations and security centers in the theater constitute the third dimension of the Army’s network operations system. In addition, the Army Computer Emergency Response Unit is the disposal of the network emergency response, in the emergency can accept the global network operations task force tactical control, each theater network operations and security center also established a computer emergency response unit. With the US military for the degree of dependence on cyberspace, control and weaken the threat of the Internet has continued to become the focus of US military tasks, the establishment of an independent network of space operations command of the voice of the growing US military. In 2008, “Yankee deer bomb action” directly under the impetus, the US military decided to end the unit of independent decentralization of the development of network combat capability of the situation, through the withdrawal, transfer, change and other measures to reorganize the relevant institutions, the establishment of a comprehensive network Space operations of the joint command agencies, the US Army network power organization construction has entered a stage of rapid development. Through the global deployment of decentralized development of the formation of cyberspace combat organization of the backbone. As the awareness of the network operations will have a far-reaching impact on the military field, the US Army in the combat force level into a lot of resources, and gradually establish the backbone of the network operations. For example, the Army launched its first cyber warfare in July 2008, which provides tactical support, brigade combatant support, and strategic support to other service units, joint forces and even cross-agency partners; the Army also operates on cyber operations The upper-level command system to implement the adjustment, so that the relevant action to be appropriate authority to monitor. During this period, the Army’s future network combat forces were integrated in the form of units in the military and joint forces within the combat unit, including from the Defense Information Systems Agency, the global network operations joint contingent, the National Security Agency to the brigade combat team and other Level of strategic and tactical institutions. The new core coordination agencies, straighten out the headquarters to the unit level of the command relationship. In June 2009, the US Department of Defense announced the establishment of the US Internet Command in the form of a memorandum to consolidate and promote the construction of cyberspace military forces through a dedicated subordinate joint command. 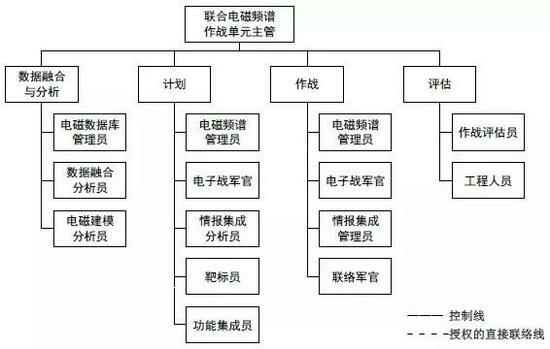 At the same time, as a transitional measure for the formation of the Army Force Network Command in the future, the Army decided to retain the organizational structure of the Army Space and Missile Defense Command / Army Strategic Command and rename it as Army Force Network Command. February 2010, the US Army announced on this basis, the formal formation of the Army Network Force Command, its formation and initial construction phase of the work mainly around the three tasks: to achieve cyber space military forces combat, increase the Army network combat power Capacity and scale, the development of the Army network space professionals team. As the previous command system was disrupted, the newly established Army Network Space Operations and Integration Center under the Cyber ​​Command actually played a central role in command control and coordinated synchronization. The agency is similar to the previous Army Global Network Operations and Security Center, but in addition to “providing clear, concise and timely guidance in the implementation of full spectrum cyberspace operations,” the organization is also responsible for “with the Army’s other headquarters, Other units in the same type of institutions, the United States cyberspace joint operations center to share information. ” At the beginning of the establishment of the organization, some members of the cyberspace operations and integration center also joined the US Department of Network Command staff to better promote the unity of command and operation of the joint force and service units. The transformation of combat forces functions, to promote the traditional ability to network space combat capability development. At the level of the combat force construction, the field signal force as the main body of the network Enterprise Technology Command / 9 signal command to the Army Network Force Command, the Army Intelligence and Security Command of the cyberspace combat forces combat command by the army Network command. Through this organizational adjustment, the Army Network Command for the first time mastered the forefront of the deployment of combat forces, to form a global presence and have the expedition, you can combat commander to provide more comprehensive combat support capabilities. It is noteworthy that the network enterprise technology command and the intelligence and security commander in the Army Network Command as deputy commander, respectively, responsible for different types of network operations mission, the basic formation of the original signal forces in charge of network defense, the original military Intelligence forces in charge of the network attack mode, which will be previously discrete deployment, loosely combined network space related organizations into a complete army network strength. In addition, the Army Network Command in 2011 was also given the task of carrying out information operations, master the first information combat command of the operational command, intelligence and security headquarters under the 780 military intelligence brigade will also be transformed into Army Network Command Direct command of the network brigade. After the establishment of the Army Network Command, cyber space military forces combat is always the center of its work, which in the Army Network Power Organization continue to optimize the integration process has been highlighted. For the current network operations have been formed, electronic warfare, information operations, military intelligence and even space combat capability, the US Army in the network of military organizational structure design also reflects the integration of a variety of capacity trends. The US Army is also actively promoting the overall military model in the construction of network forces, highlighting the development of the national guards and reserve forces. After years of construction, the US Army network power organization has been basically formed. Optimize the combat strength of the organizational structure, to adapt to operational support needs. At the headquarters level, in order to further improve the command and implementation of cyberspace operations, the Army approved the Network Command in March 2014 as the headquarters of the Army Force, and designated the 2nd Army as its immediate unit, and the network enterprise technology Command to become the second army direct command of the network combat troops, network enterprise technology command commander of the second group army deputy commander. And the previous year, the network command has been under the guidance of the US Internet Command and Army headquarters began to form a joint force network headquarters, which will be the implementation of the network space combat command command, and have direct support to the combat command of the network combat capability The At the combat forces and theater levels, the network command is trying to improve the global network defense situation through regional network centers. Based on the strength of the original Theater Network Operations and Security Center and Regional Computer Emergency Response Center, these regional cybersecurity centers streamline the operational plan of the network operations, and can play a strong planning, coordination and synchronization function to more effectively support geography Operation of the Combat Command. To determine the development of the responsible institutions, improve the network to build military theory guidance. 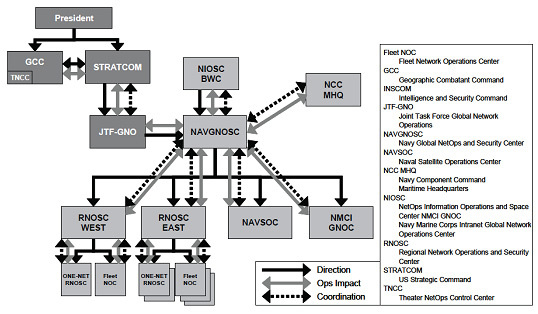 As the US Army Network Command merged with the original network operations, information operations and the strength of the signal forces, a large number of signal forces combat theory urgent need to be revised and translated into the network combat theory, in order to achieve a unified operational capability development model, to avoid the concept of guidance On the chaos. In March 2014, the US Training and Command Command, on the basis of the Center for Excellence, integrated other relevant professional elements to form the Army Network Center of Excellence, with the goal of providing guidance, network and signal The full ability of training. The cyberspace promotion office under the Cyber ​​Command is also incorporated into the Network Excellence Center to further enhance the advantages of the Network Excellence Center in summing up lessons learned from the construction of network forces. Through the implementation of the Ordinance to publish the project, the Network Excellence Center tried to merge the original signal and electronic warfare forces regulations, according to the Army “2015 order system” related requirements to develop new cyberspace operations, electronic warfare and signal forces regulations. At present, the Army has completed the revision of the field command FM6-02 “signal force support operations” to guide the signal forces to the network forces for functional transformation; the first release of the field order FM3-38 “network electromagnetic action”, clear “Army in the unified ground action to integrate the overall principles of network electromagnetic activity, tactics and procedures”; as the Army network army building a basic guidance document, field command FM3-12 “cyberspace combat” also basically completed the final approval process, Officially distributed within the Army in 2015. With the above documents as the main body, the Network Excellence Center will continue to improve the publication of dozens of related military ordinances publications, build a complete Army cyber space combat technology, tactics and procedures for the Army network forces to provide comprehensive theoretical guidance. 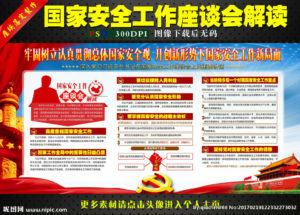 Integration of cyberspace education and training strength, and promote the regular development of network forces. The US Army will promote the development of formal training as a fundamental way to improve the level of network operations and combat readiness. In the Army Network Center of excellence at the same time, the Army Network School as its affiliated institutions in the original electronic warfare school set up on the basis of the Army Signal School is also under the network center of excellence will continue to be retained, the Army on the regularization of the construction of cyberspace “Regulations – Organization – Training – Resources – Leadership and Education – Personnel – Facilities” model has been further refined. With the establishment of the Army Network Arsenal (“17-Series” Career Management), the Army requested new staff members to enter the network career field to complete the school’s school training program, from signal, intelligence and information operations forces and other units to the Corresponding to a large number of network operations staff also need to carry out new vocational education and training, the two schools will jointly set up the new Army network arms units officers, warrant officers and noncommissioned officers for individual personnel skills training. For example, the Army Leadership Foundation Training Program was officially launched at the online school in August 2015, and the 14-week Senior Officer Training Program was implemented in May 2016. For the first batch of network combatants recruited by the Army in October 2015, the senior personal training program that must be attended by the Army began in February 2016. As the cyberspace operations essentially have the characteristics of joint operations, the first phase of the 22-week training program will be the Naval Joint Network Analyst Course, the second phase of training for the same 22 weeks, training venues from the Navy The facility is transferred to the Army Network School. Attention to the National Guard and reserve network strength, highlighting the support and coordination functions. In view of the development of the network combat force, the Army believes that the reserve department can assist the active forces to share some of the tasks and be able to provide reinforcements with high levels of training as quickly as necessary. Because of its unique dual legal position, the Army National Guard can play the role of state and federal government agencies, civil and military organizations, private and public sector convergence, “with the development of cyberspace capabilities of the natural advantages.” Therefore, the Army in the development of network combat forces also pay attention to the construction of the relevant reserve organizations. For example, the First Information Operations Command also includes four reserve forces theater information operations brigade, which has the ability to provide information operations and cyberspace planning, analysis and technical support. According to a memorandum signed by the Army National Guard in June 2014 with the Army Network Command, the Army National Guard transferred one of its network defenses in the previous year to the Army Network Command / 2nd Army. The cyber force, known as the 1636th Network Defense Unit, will be in Service No. 10 of the United States Code, which is a full-time service and will receive the same standard training with other active forces of the Army Network Command and jointly All types of tasks. The US Army Training and Command Command assesses the future combat environment, clearly emphasizing the importance of obtaining information on all relevant aspects of future battlefields. Army forces in the color of people such as action in the face, with a new, network-based, technology-based threats. These threats use emerging technologies to build and maintain a cultural and social advantage; and make full use of these new capabilities for command and control, staff recruitment, logistics coordination, fundraising and dissemination of information. To take action in this new environment, the Army must re-adjust its message “focus”. Army leaders and soldiers must have an in-depth understanding of how to use information-based capabilities to capture and maintain situational awareness. In the future battlefield, know how to fight for information and give full play to information, while denying the opponent’s ability to win more and more important. The first dimension is the confrontation with the psychological will of enemies, hostile factions, criminal gangs and potential opponents. The second dimension is a strategic alliance, including maintaining a friend in the country, getting ally in a foreign country, and obtaining their support or identity for the task. The third dimension is the network power confrontation, including the acquisition, maintenance and use of a technical advantage. The first dimension and the second dimension emphasize how commanders and staff officers should carefully plan and use information to fulfill their mission. The third dimension emphasizes gaining and maintaining an advantage in increasingly converged cyberspace and electromagnetic spectrum (EMS) media. The advantages of the Army’s access to advantages, protection advantages and opponents’ inferiority are included in these three dimensions; and contribute to the achievement of those actions that must be achieved through tactical, operational and strategic levels of unified action. The current combat action makes us more convinced that each dimension needs to have its own corresponding concepts and capabilities. Information operations (IO) contain all three dimensions, but the word is increasingly becoming a generic term that can be used for any form of information. Computer network operations and electronic warfare itself is not enough to describe the full range of network confrontation. To this end, we are carrying out a comprehensive description of each dimension of the comprehensive research activities. The first two dimensions (Confrontation and Strategic Alliances of Will) will be presented in a conceptual plan to be developed separately, followed by a competency-based assessment. The combat environment has changed significantly. The convergence and rapid development of computer and communication network technology, the global proliferation of information and communication technology (ICT) and its impact on social and social networks impact the combat environment. The use of this information revolution in the form of agents (agents) on the United States of key infrastructure and combat missions constitute a huge threat. These actors have both traditional national and non-combatants, multinational corporations, criminal organizations, terrorists, hackers, mischievous hackers and misuse of individuals. They together to create a continuous turbulence, never calm the environment. In this document, unless otherwise stated, the term “opponent” is used to describe them. Training and Order Command (TRADOC) 525-7-8, “CyberOps Concepts 2016-2028”, a comprehensive review of the 2016 to 2028 Army future forces how to make full use of cyberspace implementation of effective Network operations. The manual includes a conceptual framework for incorporating cyber operations into full spectrum operations (FSO), laying the groundwork for subsequent development of the order. This conceptual framework outlines how the commander integrates network operations to gain advantage, protect the advantages and set opponents at the disadvantage. The manual also establishes a common dictionary for the Army’s network operations, describing the relationship between cyberspace and the other four domains (earth and sea) and with the electromagnetic spectrum. Finally, it explains how the technology that continues to converge will affect full-spectrum operations and capacity development, providing strong support for Army design, development, acquisition and deployment of fully integrated network capabilities. (1) The Joint Arsenal Center believes that existing vocabularies (cyber-e-warfare) are enough at the moment, but will be increasingly insufficient to describe the challenges the Army faces in future combat environments. (2) The joint arms center draws conclusions that should be considered from three dimensions, which run through full spectrum operations, and each dimension needs to be addressed by the design of forces and the development of orders. The first dimension – the first dimension is the confrontation with the psychological will between the enemy, the hostile faction, the criminal gang and the potential opponent. The second dimension, the second dimension, is a strategic alliance, including maintaining a friendly relationship with allies in the country, forming an alliance abroad, supporting or focusing on the mission of the military operations area. The third dimension – the third dimension is the net – electromagnetic against. The continuous development of wired, wireless and optical technologies provides the conditions for convergence and cross-linking of computers and communication networks. B, Training and Command Command No. 525-7-8 manual is mainly about how to win in this third dimension, that is, network confrontation, and put forward a concept – that is, network operations can promote the completion of the other two tasks. A Win in cyber confrontation means getting progress in three ways: gaining the edge, protecting the advantage, and setting the opponent at a disadvantage. B. The commander seeks freedom of movement in cyberspace and electromagnetic spectrum while losing opponents at the time and place they are determined; thus supporting various military in cyberspace and the other four domains of cyberspace (land and sea) activity. Cyberspace military operations are included in the network confrontation to take advantage, to protect the advantages and opponents in the disadvantages to take action. Network operations itself is not the ultimate goal, more as an important component of the whole spectrum of operations, to win the network confrontation is in peacetime military confrontation in the attention of the general activities. Network operations are ongoing and confrontation takes place every day, and in most cases there is no need for other forces to participate. The existing terms of the term do not fully address the scope of the relevant tasks according to the definition of the Department of Defense cyberspace and cyber warfare. As a result, the framework developed by the manual defines four major components of network operations: CyberWar, CyNetOps, CyberSpt, and Cyberas. The combat environment (OE) has changed significantly. The hostile activities in cyberspace and through cyberspace have reached unprecedented levels, threatening the basic elements of the key infrastructure, financial systems and national power of the United States. These threats come from a wide range of sources, unknowingly hackers to sovereign states, and the level of competencies varies. They together to create a continuous turbulence, never calm the environment. In this document, unless otherwise stated, the term “opponent” is used to describe them. B. The rapid development of technology and its widespread proliferation make it increasingly difficult to win in full spectrum operations. The combination of wired, wireless and optical technology leads to the convergence of computers and telecommunications networks; handheld computing devices are growing in number and performance. The new generation of systems is emerging to form a global, mixed adaptive network that combines wired, wireless, optical, satellite communications, monitoring and data acquisition (SCADA) and other systems. In the near future, the network will provide users with ubiquitous access, so that they can be near real-time on-demand collaboration. C. With the rapid development of technology, the ability of national opponents also increased, which makes the combat environment more complex. Who can gain, protect and exploit the advantages in competitive, crowded cyberspace and electromagnetic spectrum, who will master the initiative. On the contrary, if a party fails in the confrontation, or because the system was disturbed or destroyed and can not be effective action, it will give a huge advantage to the opponent. D. Access, protection and advantage are not easy. US rivals use the commercial market as a platform for their development, making them more agile and adaptable than Army’s long research, development, testing and identification, and acquisition processes. Opponents are increasingly good at using cyberspace and electromagnetic spectrum capabilities and activities that are often outside the sight of our Army’s conventional operations. In order to capture and maintain the battle and tactical advantages for these flexible opponents, the Army must make cyberspace and electromagnetic spectrum the core and conventional components of its operations; and commanders also need the relevant competencies and the corresponding experts to apply them. The purpose of the Handbook No. 525-7-8 of the Training and Command Command is to examine how the Army’s future forces will integrate the cyberspace capabilities and cyber operations into full spectrum operations between 2016 and 2028. The 525-7-8 Handbook of the Training and Command Command draws out how the commander can integrate cyber operations with other capabilities to gain advantage in full spectrum operations and to protect the advantages of concatenating opponents’ initial research results. The results of the study will be further refined through a competency-based assessment and development process. The manual describes how the commander seeks freedom of movement in cyberspace and electromagnetic spectrum while losing opponents at the time and place they determine; thus supporting the cyberspace as well as using cyberspace in the other four domains (land and sea) Of various military activities. This manual establishes a common dictionary and framework for network operations and describes the relationship between cyberspace and air, land, sea, and domain, and electromagnetic spectrum. It also explains how the technologies that continue to converge increase the impact on full spectrum operations and capacity development; identifies the network operations and support capabilities needed to support future force modernization initiatives; and suggests the cyberspace and electromagnetic Spectrum related to research questions. This manual follows the design process approved by the Training and Command Command. Chapter 2 describes the existing conditions and requirements for cyberspace in combat environments. Chapter 3 compares the existing conditions and the desired final state in the operational environment, thus establishing a plan for the formulation of the program. Chapter 4 presents frameworks, core ideas, support ideas and dictionaries. Appendix A contains the required and related references. Appendix B describes the structure of the evolving network operations. Appendix C describes how to incorporate cyber combat as an organic component into the whole process, rather than being free from the entire action, according to the commander’s intentions and objectives. Appendix D (published) and Appendix E (confidential) discuss the required capabilities. Appendix F identifies issues at the executive level throughout the process, organization, training, equipment, leadership and education, personnel, and equipment (DOTMLPF) to support subsequent cost-benefit analysis efforts. C, the electromagnetic spectrum is from zero to infinite electromagnetic radiation frequency range. It is divided into bands numbered by 26 letters. A The Manual No. 525-7-8 of the Training and Command Command is consistent with the concept of joint and the concept of the Army, which includes the concept of joint operations and the top concept of the Army. The capabilities described in this manual may be incorporated into the Joint Capability Domain (JCA) and related operational functions. The Department of Defense uses a joint capacity domain to describe how the various capabilities support the joint function. The joint competency domain establishes the foundation of the process based on the capabilities of the Department of Defense, and the network combat capability can be embedded in the combined capabilities of the first level of force use, protection, combat space perception and network center action. Similarly, the network combat capability not only strengthened the Army’s operational functions and combat elements, but also their necessary composition. B, Training and Order Command Manual 525-3-0. The manual argues that war is the will of the will, and that in order to win, the army must try its best to play a psychological and technical influence as one of the six main ideas that support the top concept of the army. The top-level concept declares that the Army is increasingly dependent on the continuous integration of electromagnetic, computer networks and space-based capabilities, so the technical influence requires troops to prepare for a new “cyber battlefield” to fight and win. Because the technology that affects the movement of information is developing too fast, the Army must continually assess what capabilities it needs to acquire, protect and exploit advantages in high-intensity cyberspace and electromagnetic spectrum. This handbook supports this top-level concept by determining the capabilities required to successfully perform full-spectrum operations. C, Training and Command Command No. 525-3-1 Handbook and Training and Command Command No. 525-3-2. These two manuals, in order to support the Army’s operational concept, define the capabilities of operational command, intelligence, fire and protection needed to carry out effective campaigns and tactical maneuvers in future combat environments. Network capabilities and the advantages of cyberspace for the future of the Army in the mobility of command and control to reduce operational risk is critical. The Training and Command Command Manual No. 525-7-8 complements the Army function concept that supports campaign mobility and tactical maneuver.